Greening the Grid partners with stakeholders from across India to build capacity for renewable energy integration. NREL conducted an analysis of the technical and economic potential of a high-voltage DC (HVDC) tie between India and Sri Lanka. Publication forthcoming. Another study assessed the market and regulatory barriers to increased trade between India and Nepal. Publication forthcoming. 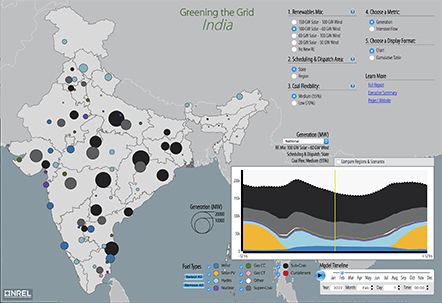 NREL is collaborating with the Central Electricity Authority (CEA) in India to develop a national expansion planning tool (ReEDS India) based on state-of-the-art modeling techniques to capture relevant features of high RE power systems. Preliminary results forthcoming in 2019. 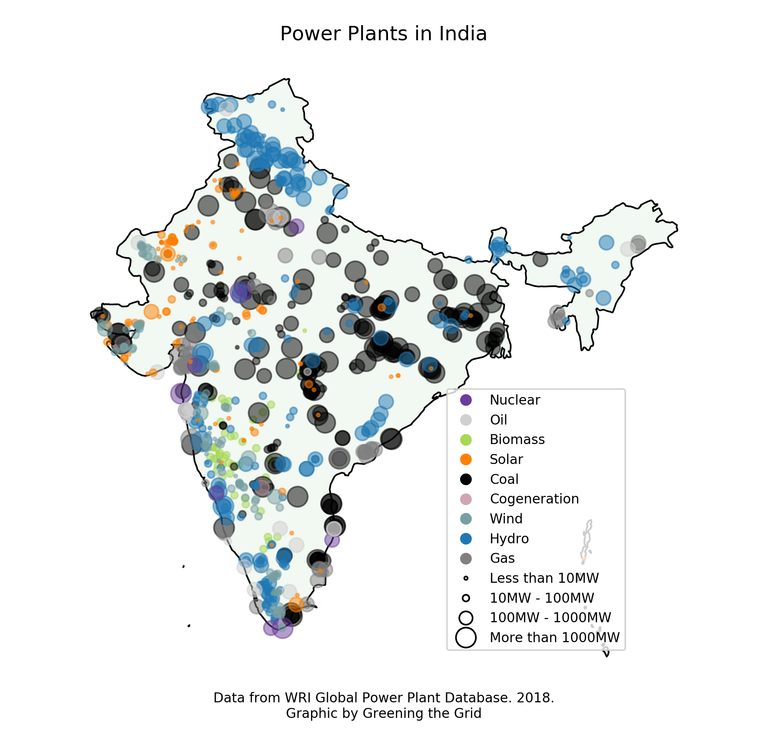 The map below shows the location, type and size of power plants operating in India.